Translation is a profession which, quite simply could not be more varied. When you think about translation, the first thing that probably pops into your head is the various occasions in which you have visited a museum or historical landmark and you have found information translated into various languages. If you are like me, somewhat of a translation geek, might find yourself studying the translations as you find it more interesting that the artefacts or buildings themselves. In my case I tend to compare the translation to the original text, and sometimes cringing at the fact that the translation has been carried out by either a machine translator or someone who simply is not qualified to translate. Whilst some of these texts are just general informative texts about the dates and places in which the artefacts were discovered or built, in some cases these can be much more technical. Here at Traductores Oficiales each translator is assigned projects based on their specialities and personal interests. Nonetheless, every time I open the translator’s platform, it is like opening a present from a Secret Santa, as quite simply I never know exactly what the day or week has in store for me. Whilst the most common texts that we have to translate, tend to be short academic or civil registry documents, we also often receive more extensive documents from companies or organisations, such as content for their website, or information about their products. In the same way as the information provided in a museum can vary greatly, from specific/technical information to a much more general overview, this is the same with regards to company documents. For me, one of the most interesting but yet most challenging projects are those which involve the translation of product specifications. The process of translating depends greatly on the type of text and the challenges that it presents, in some cases it may be possible to dive in straight away, and simply consult any doubts that you have as they arise, but in other cases it may be necessary to look for information and parallel texts before even starting the translation. When translating product specifications, this task often goes beyond the translation of a physical description of the product and what it does or how it is used, in fact, in many cases we have to translate a description of how it is manufactured and the exact materials that are used. For this sort of translation, the use of images is fundamental, there is a popular idiom that says “a picture is worth a thousand words”, and in technical translation this could not be more true. 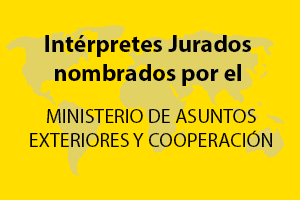 We can use images, whether those provided by the client, or those found by means of an online search, to help us to understand exactly, ‘how this piece of fabric is connected to the other one’, or exactly what they mean when they mention a ‘costura sobrecargada’ or a ‘costura reforzada tipo sobre’. A frustrating aspect when translating these sort of documents, is that there are cases in which words simply don’t seem to exist in the target language, and no matter how many dictionaries or glossaries that you consult, you can’t seem to find an equivalent word. This is particularly common with regionalisms or words that are specific to a product or idea which may not exist outside of the source country. In this case, a common solution is to leave the original word in the document and to provide a definition whether in brackets or in italics, thus ensuring complete comprehension from the target audience. Translation really is a fascinating career and a career in which we are constantly learning and being challenged, there are times in which finding the definition of one specific phrase or even word can take us ten or fifteen minutes, the satisfying factor is knowing that if it comes up again we already have the solution. There are many occasions in which we learn new vocabulary in the source language which we have never even heard of in the target language, and it is amazing how many times this can come in useful. I’m going to finish this article with a short anecdote. Like many people, I love playing board games, and in particular those which involve the definitions of words. Obviously, living in Spain, now means that when I play these games, I have to play in Spanish, an additional challenge, but one that makes the game even more enjoyable. Recently I was playing a game of ‘The Dictionary’ a word game in which players guess the definition of an obscure word which one of the players has found in the dictionary. The rules of the game are that one person chooses a word and everyone has to write a definition which will later be read out loud, along with the original definition, and the players have to vote for the definition which they think is real. In the case that someone is already familiar with the word, this will be eliminated. The last time I played, the word ‘Gábata’ was chosen, as in every round the question as to whether anyone knew the word was asked, complete silence all around, until I found myself saying ‘I know that word, it was in one of my translations last week, it is a nested canteen cup used by the military forces. I’m not going to lie, the fact that I, as a non-native Spanish speaker knew a word that the native Spaniards didn’t know felt good!